Manwaring Moments: What in the world? HAAA! I just laugh. What a fun picture of you! Snowing again....how many more days of this? At least you can throw up your hands and just laugh even though you're dying inside! I agree with Lee Ann on the other post (modified of course), "snow, snow, go away...."
YIKES! Elena, it's almost MAY you know! I am shocked, we were 85 today. I almost bought a swimming pool. Are you tired of wearing sweaters? Emily- Thanks for rubbing salt in the wound. ;) And no, I could wear a sweater everyday. I love them. But some warmth would be nice. Sorry Elena, don't worry though, come July I will be wishing I was living there, those sultry Texas summers kill me. I am in a constant state of a pit sweat stain. 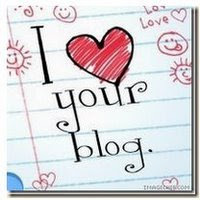 MIKI-- thanks for your comment on my blog, I wish I could peek at yours and leave lovely little comments for you! Emily! What a fun comment for me from you! Thank you. Yes you may look at my blog. You will be pleasently bored! We need to find a way to swap emails though. I need your email address in order to invite you to the private blog. We'll have to go through a friend of a friend. Elena has mine. I don't know. We'll work it out and it will be fun!